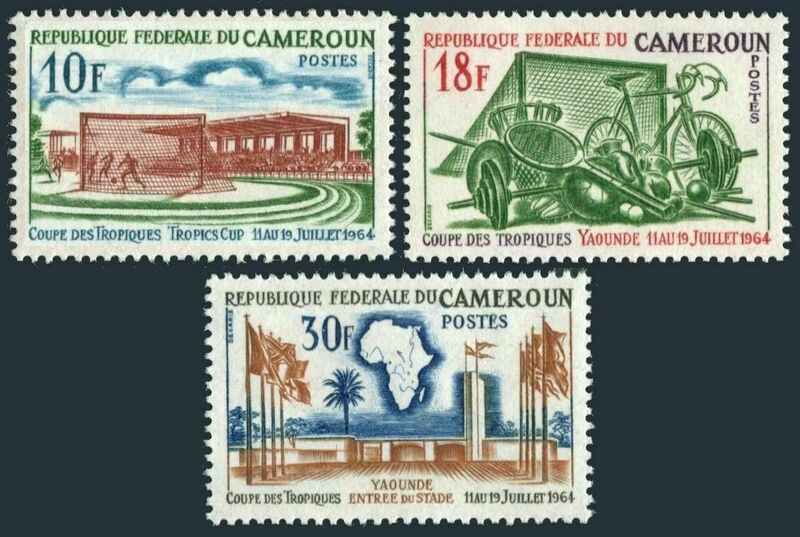 Cameroun 398-400,MNH.Michel 405-407. Tropics Cup Games,1964.Soccer,Stadium. Cameroun 398-400, MNH. Michel 405-407. Tropics Cup Games, Yaounde-1964. Soccer, Sport equipment, Stadium, Map, Flags. Blocks of 4 - buy 4 sets. $0.05 shipping for each additional eligible item you buy . For domestic purchases up to $60.00 first class mail will be used; purchases above $60.00 require mail with tracking number or insured mail (buyer pays the mail fee). For international purchases up to $60.00 first class international airmail will be used; purchases over $60.00 require mail with tracking number (registered mail, buyer pays the $19.00 or $20.00 for oversize item). Warning for the buyers from Eastern European countries, Russia, China, Middle East, South Asia, Latin America, Africa exclude RSA, and the buyers with Hip ID less 100: the purchases over $30.00 require expedited mail. Burundi 379-384,384a,MNH.Michel 832-843 Bl.58A. 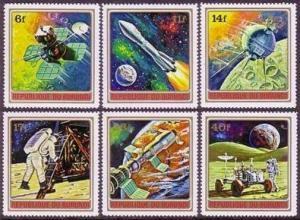 Conquest of space,1972. 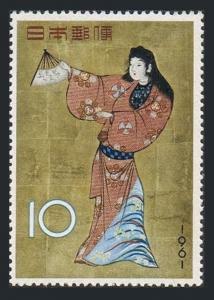 Japan 728,MNH.Michel 767. Dancing Girl from a Screen of Dancers.Stamp Week 1961. 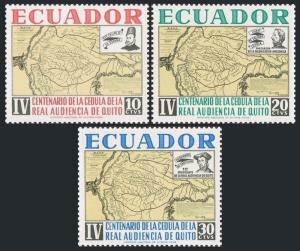 Ecuador 722-724,MNH.Michel 1155-1157. Royal High Court in Quito,400,1964.Map. Burkina Faso 496-497,lightly hinged. 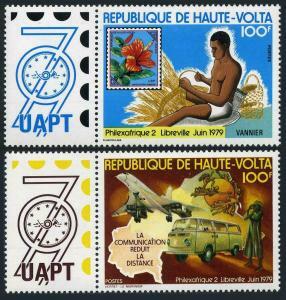 PHILEXAFRIQUE-1979.Flower,Concorde,UPU,map.